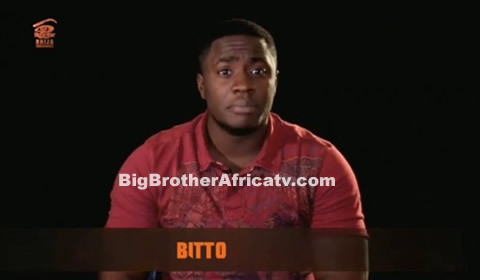 Meet Bitto: Bitto is a 26-year-old on-air presenter who is currently in a loving relationship. His lowest moment was when he lost his mum. He would love to win so he can change his family's perception of the entertainment industry. He will miss Sylvia his best friend and girlfriend the most. If he was an animal, Bitto says he would be a camel for there is no stroke that can break his back.